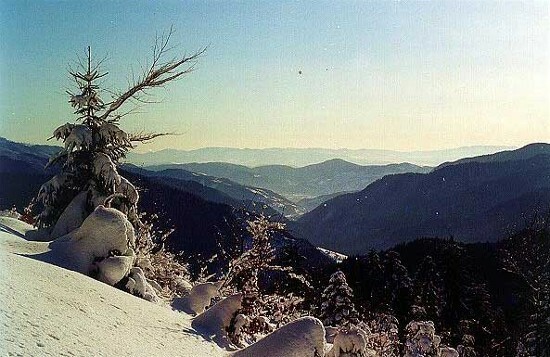 Hutsul Alps (Ukrainian: Hutsulski Alpy). 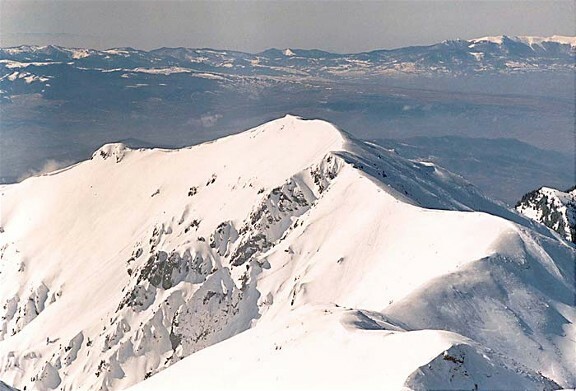 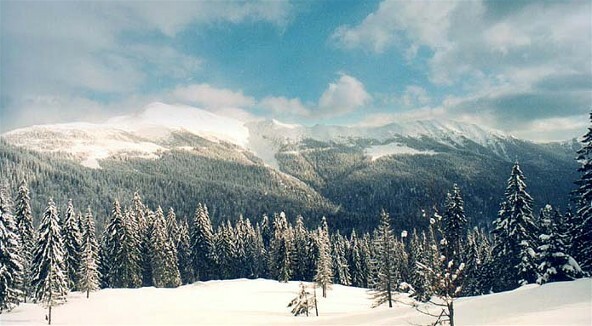 A mountain group, also called the Rakhiv Mountains, composing the westernmost part of the Maramureş-Bukovynian Upland; it is situated between the Bila Tysa River valley in the north and the Ruskova River valley in the south. 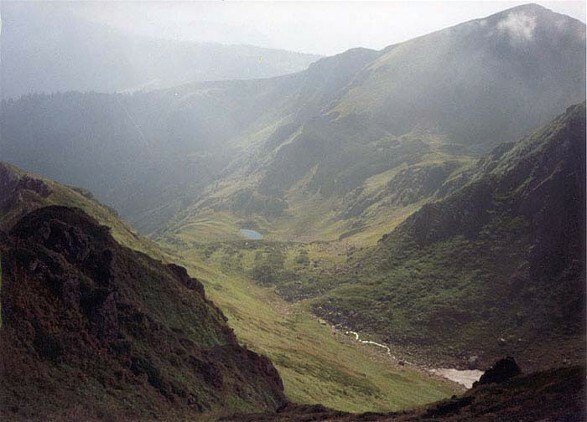 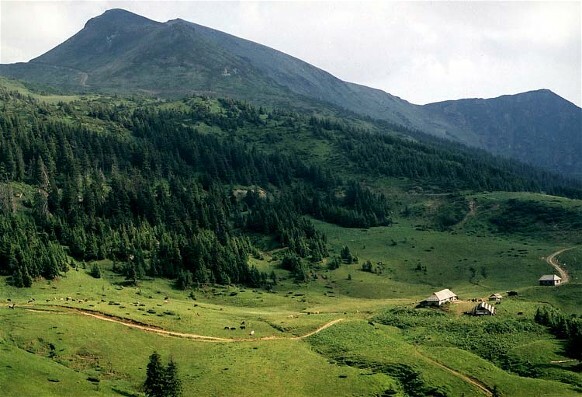 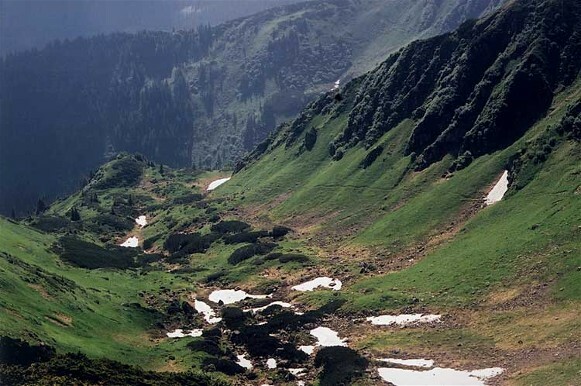 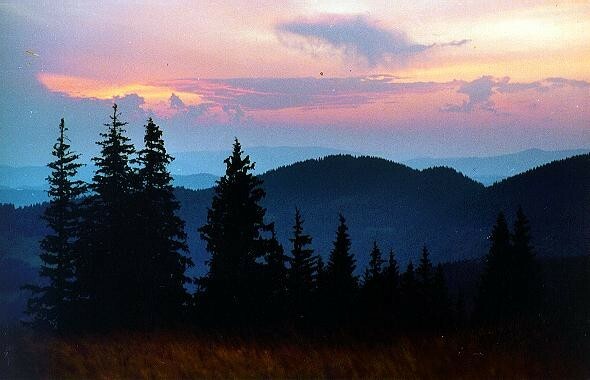 Because of their considerable height (over 1,900 m), geological structure (gneiss, crystalline schists, limestones, and pyroclastic deposits), deep valleys, and distinct glacial forms, the Hutsul Alps are the most variegated and picturesque of the Ukrainian Carpathian Mountains. 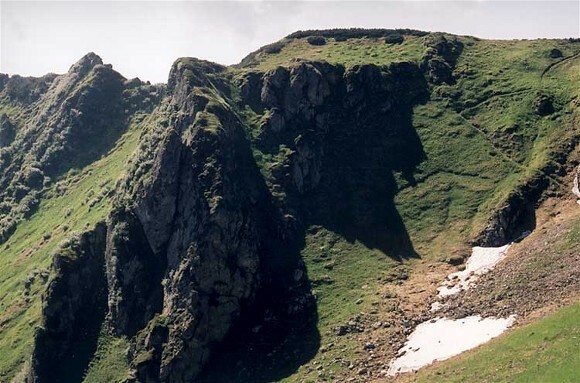 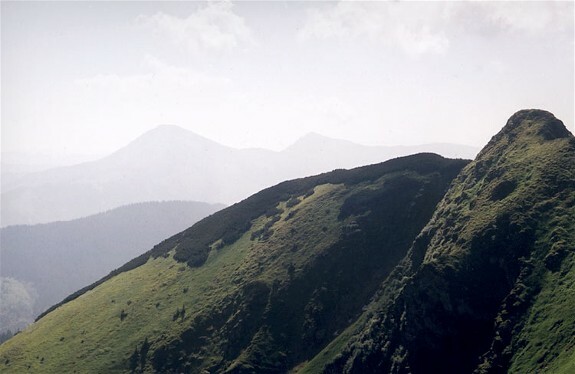 Their peaks are pointed and their slopes are steep and rocky. 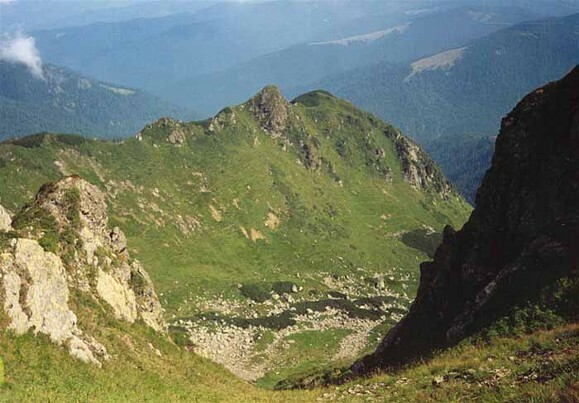 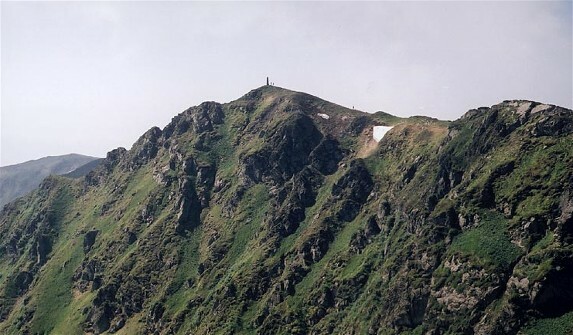 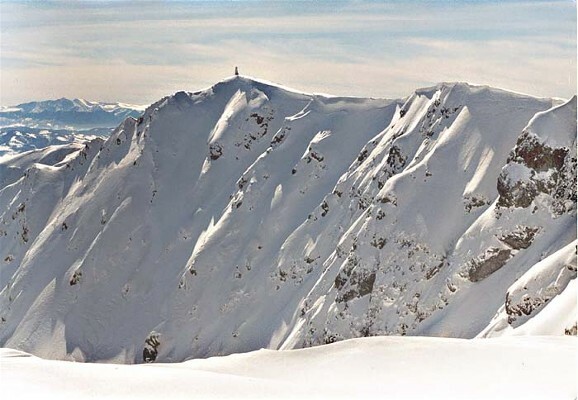 The ridge consists of two mountain groups: (1) Mount Pip Ivan (1,946 m), a massive gneiss pyramid, and (2) Mount Farcau (1,961 m), a conical basalt mountain, and the limestone Mount Mykhailyk (1,920 m). 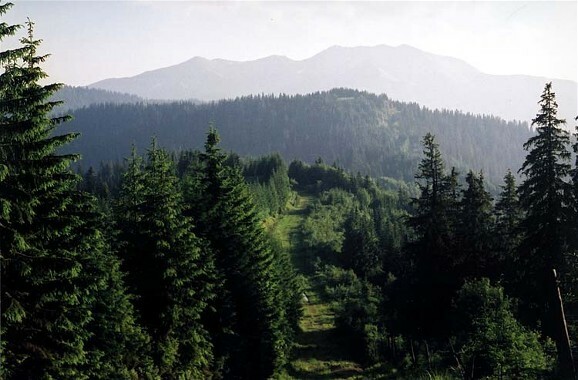 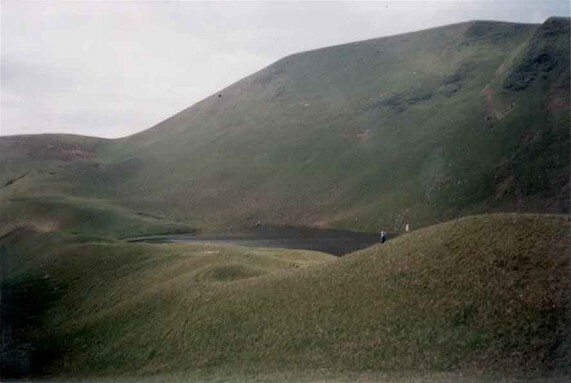 Above the spruce forests covering the mountain slopes lie extensive meadows, scrubs of pine, and rock fields. 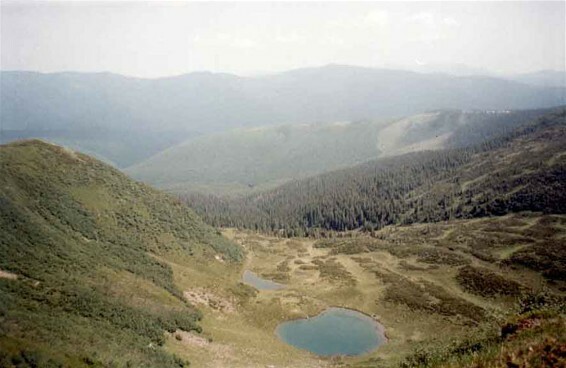 The population is concentrated in the valleys of the Bila Tysa River (town of Bohdan), Tysa River (Rakhiv), and Ruskova River (Ruska Poliana and Ruske Kryve).